This month I received the email stating that my Microsoft SQL Server MVP (Most Valuable Professional) designation was renewed for my 2nd year – my MVP profile. It is truly a great honor to be recognized for this award and to see that my contributions to the SQL Server community are not going unnoticed. Even if I was not awarded this I would still continue doing the blogging, tweeting, forum support, presenting, helping with user groups, and help organizing events. The reason is because my hobby is Microsoft technologies and particularly SQL Server – pretty cool that is also my job and people pay me for this. If you are interested in the Microsoft MVP program you can find more information about this here – http://mvp.support.microsoft.com/. There is also another program that is related called the Microsoft Community Contributor award which recognizes those that help out in the online technical forums – https://www.microsoftcommunitycontributor.com/overview.aspx. So the contributor award is a great place to start and then expand out into the other areas of presenting, blogging, tweeting, user groups, etc. to get out and share your real world experiences and evangelize the Microsoft technologies with others. Another recognition I received earlier this year was from Redmond Channel Partner Magazine as one of the Top 10 Microsoft Partner MVPs for 2011. Out of the approximately 5,000 Microsoft MVPs worldwide there are around 1,000 that are associated with a Microsoft Partner. So I was very honored and humbled once again when I found out that I had been selected and recognized by the magazine as one of the top 10 for 2011 in May of this year. Congratulations to the others that also received this honor. And just last week I was mentioned on the Minnesota Business Magazine’s website for ‘People on the Move’ – http://minnesotabusiness.com/people-on-the-move. You will see an entry on July 7, 2011, recognizing me for receiving the Microsoft SQL Server MVP award for the 2nd year in a row. This is all really cool and very unexpected. 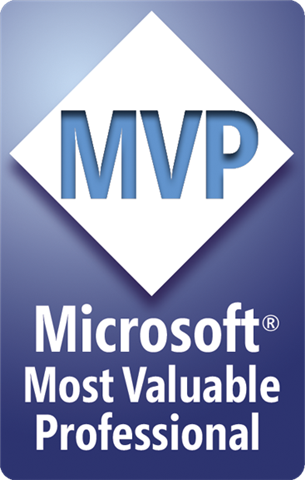 I never thought I would ever become a Microsoft MVP. An recognition like this was never on my radar and I think that it is just awesome. Especially when I think how there are only around 5,000 Microsoft MVPs worldwide and only around 300 Microsoft MVPs that have the SQL Server designation. Thanks Microsoft and congratulations to all of the other Microsoft MVPs as well. This entry was posted on July 12, 2011 at 7:04 am	and is filed under Personal Comments, SQL Server. Tagged: mvp, sql server. You can follow any responses to this entry through the RSS 2.0 feed. You can leave a response, or trackback from your own site. It’s easy to see why someone that puts so much effort and “give back” of their own high skills and knowledge back to the community is recognized like this. I’m fortunate to say that I know a person like you in the community. Congratulations and I can’t wait to see these types of things keep coming to you. They are more than deserved. Thank you and likewise. It is truly an honor to be surrounded with not only great MVPs like yourself, but just the other community members in general. I truly enjoy talking and working with great individuals like yourself, congrats once again on your renewal as well. Thanks and likewise. Maybe see u at the summit later this year. Thanks much and glad to hear. Keep up your great work as well.